For the second consecutive year, President Benigno Aquino III has declared March 22 as a special non-working holiday in the province of Cavite. 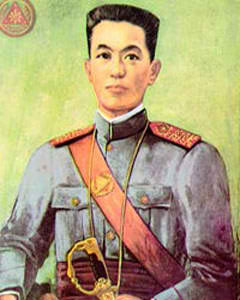 March 22, 2013 is the 144th birth anniversary of General Emilio Aguinaldo, the country’s first president. Aquino made the declaration through Proclamation 556, which Executive Secretary Pacquito Ochoa signed last March 7. Read the full text of Proclamation 556 here. Aquino made a similar declaration last year. March 22 this year falls on a Friday, which gives Cavitenos the first of their two long weekends this month. The other one will come just a week after as the nation observes the Semana Santa. As noted in previous post, Aguinaldo holds the distinction of being the nation’s youngest and longest-lived president.